I am so happy that Carrie Ann Ryan decided to tell the story of the Gallagher brothers. I have loved seeing them periodically in the Montgomery Ink books and have especially wanted to know Graham story. I can safely say that the Montgomery Ink clan might want to keep an eye out for these Gallagher Brothers, they may find themselves eclipsed. Blake Brennen has a history that haunts her, a history that changed her world, a history that sent her on the run for years, but now she's back home and forced to face that history while keeping herself and her secrets close to the heart. 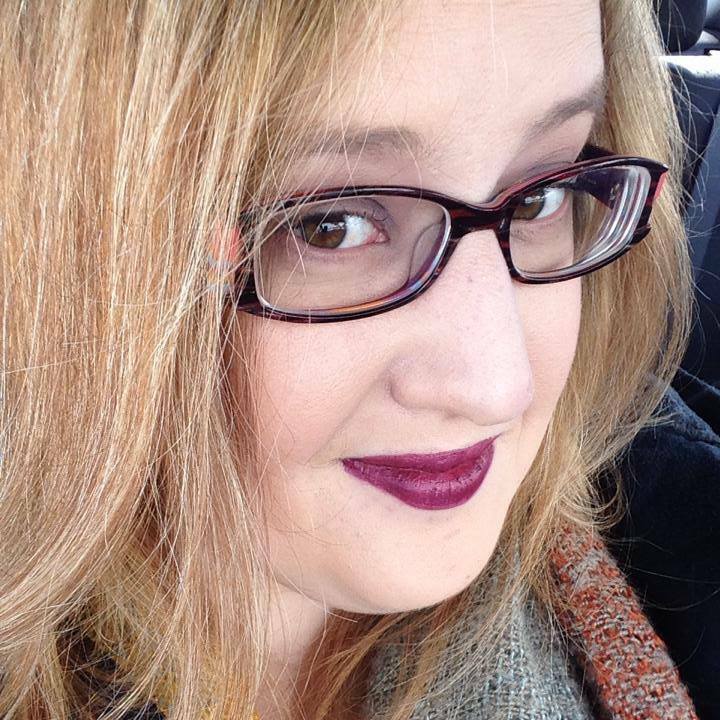 Graham Gallagher has a history that haunts him, a history that changed his world, a history that sent him deep into himself and made him bitter, but now a beautiful woman is rocking that solitary world he's built and his walls are crumbling dow around him. I loved Graham and Blake together. They're both such strong personalities that they are like magnets bouncing off of each other but you know with just one turn they will connect in such away pulling them apart will be a near impossibility. 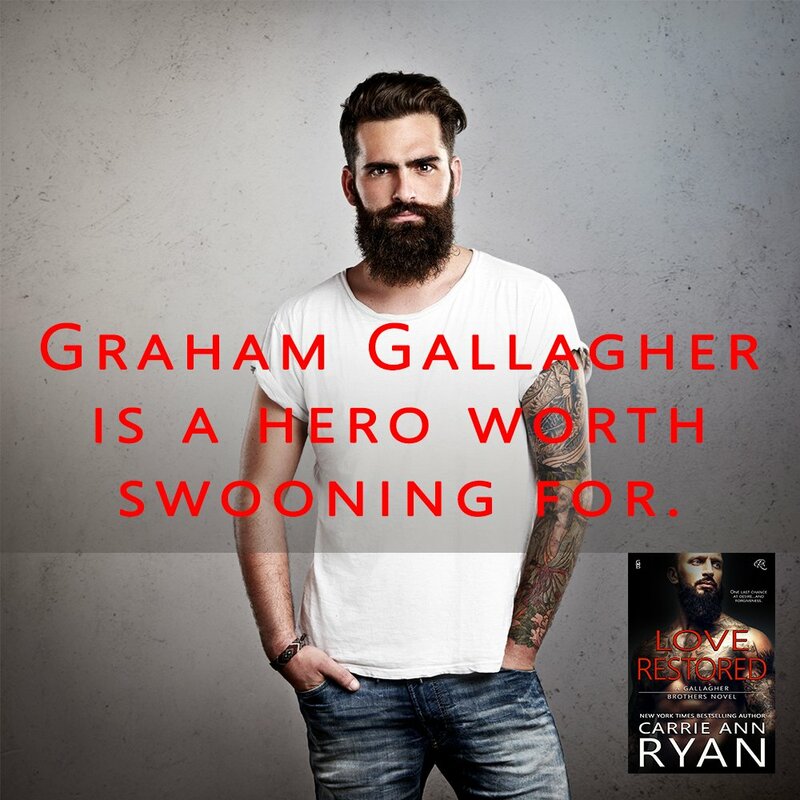 Graham is the perfect Pouty Man Bear, as the wonderful Tessa Bailey has dubbed men such as Graham Gallagher, he's dark and moody, he's bearded and buff, but he has a heart full of love that just needs the right woman to open it up and let all the love out. Thankfully Blake comes into his life. She is the exact opposite (he thinks at first glance) of what he wants in a woman but their pull toward each other can't be denied and even when everything is falling apart around them and their pasts threaten to tear them apart that pull never goes away and eventually shows them that the past can be overcome even if it can't ever be forgotten and love can make hearts whole again and turn fear into joy. 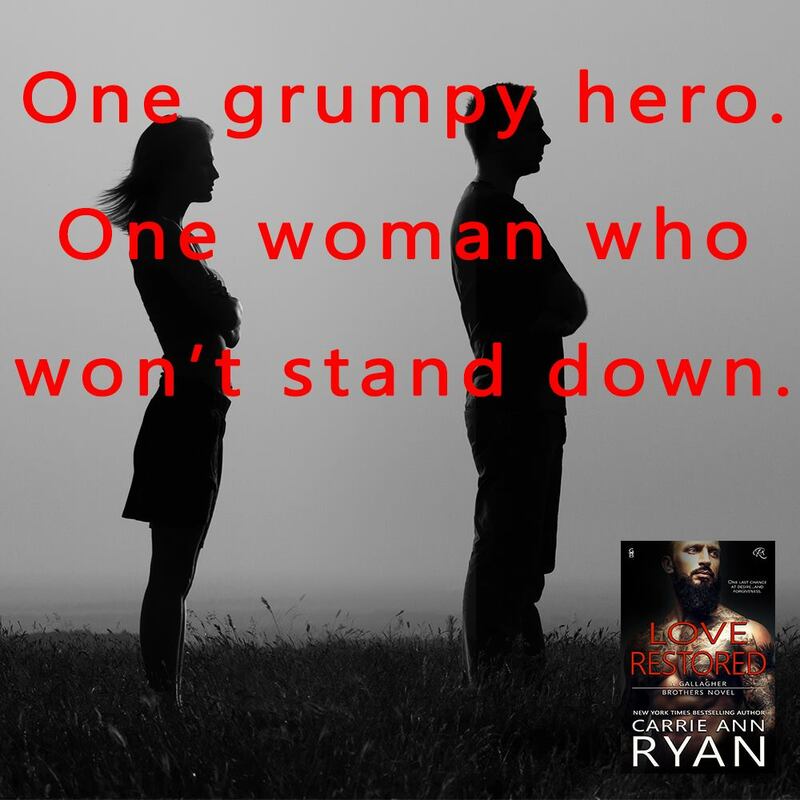 Carrie Ann Ryan is bringing us another great romance series with the Gallagher Brothers. It's got a similar 'look' of Montgomery Ink, with a bit of a darker/broodier feel (at least with Graham and Blake's book) and I can't wait for more. 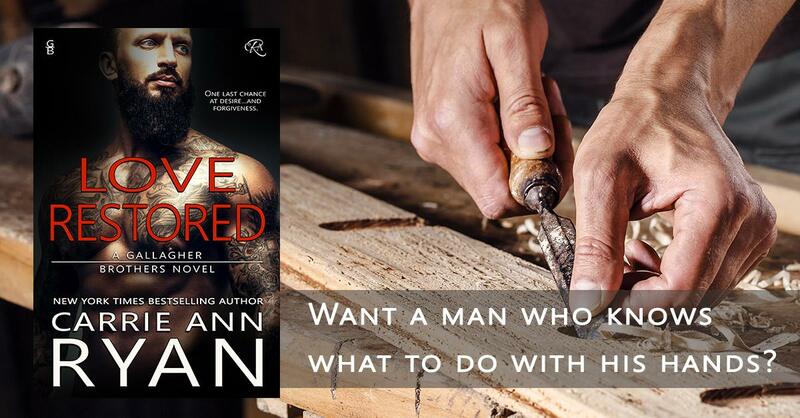 Any fans of Carrie Ann Ryan are going to want to have this in their hands and Contemporary Romance fans this is a one click series. 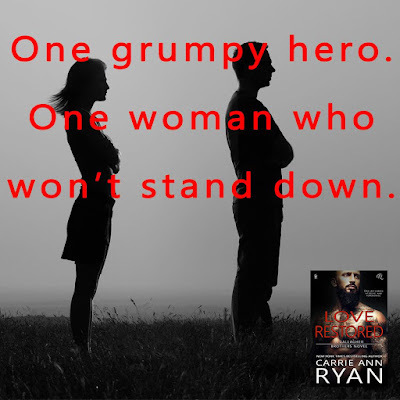 You are going to love this broody (with reason) fellow and the strong woman that rocks his world off its axis. 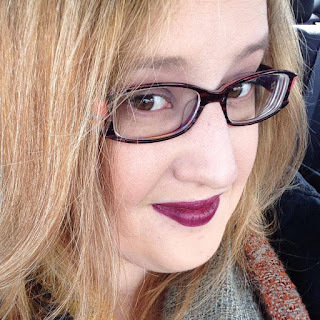 One of the main things I adore about Carrie's books is the strength and conviction of her female characters and that trend continues in this story.